Hi everyone! There's a few cards I've made for different things that have not been posted yet. So I thought I would post a few this week. 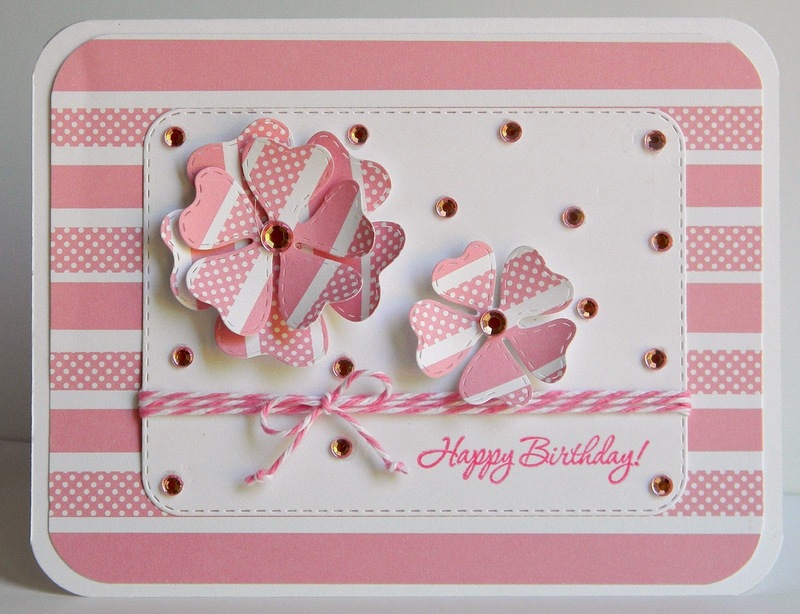 This one has entirely too much bling on it, but it was for a bling challenge and my daughter told me to add all that :) I really don't add that much on a card any more and probably should have stopped, but we were having fun! I used Tickled Pink Trendy Twine -- one of my favorites. The gems are Doodlebug and the dies are from My Creative Time. I pulled the pink pattern paper out of my scrap pile.